Days of Croatian Tourism: Dubrovnik is the Best ‘City Break’ Destination! Dubrovnik has been declared the best ‘City Break’ destination last night on the Days of Croatian Tourism 2016 held last night on Brač island. 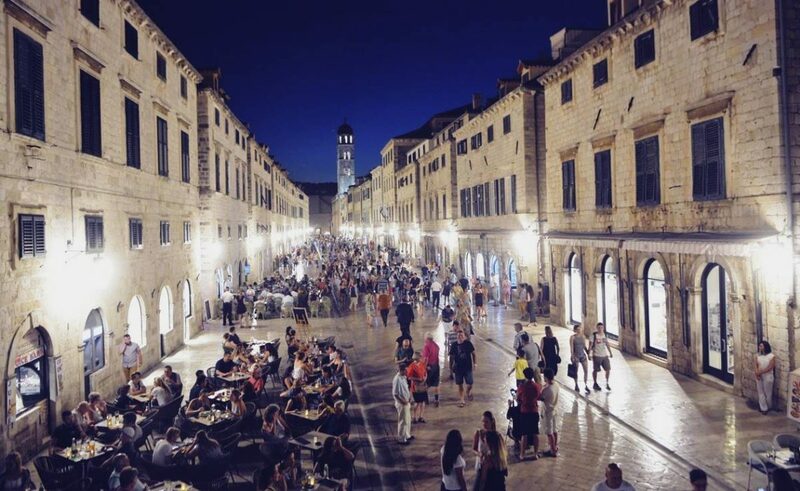 A total of seven Dubrovnik’s hotels have been awarded. Villa Dubrovnik got two first prizes, and two tourist employees from Dubrovnik were declared the best. At last night’s ceremony, the awards from the Croatian Tourist Board, the Ministry of Tourism and the Croatian Chamber of Economy were assigned in categories for ‘destination of the year’, ‘the sustainable tourism’, ‘attraction’s, ‘the business sector’ (Tourist flower – Quality for Croatia), and awards for the people in the tourism industry (Man – a key of success in tourism, an annual award ‘Anton Štifanić’). Also, there were awards for the top three secondary vocational and art schools. Dubrovnik was awarded as the best ‘city break’ destination, along with other many, many awards and recognitions. In the category ‘City Break’ destination our neighbor municipality – Konavle, was declared the most successful destination for rural tourism. Several tourist employees from Dubrovnik won awards in the category of ‘Man – the key to success’ – Katija Zvone – Krmek from hotel company Adriatic Luxury Hotels, as the best sales and marketing employee in tourism, and Mateo Gverović from the Valamar Riviera Hotels as the best chef! Dubrovnik hotels have earned the highest number of awards in the category ‘Tourist Flower – Quality for Croatia’, which is another confirmation of the high quality hotel accommodation in our city. Valamar is the best conference hotel in Croatia, the best resort hotel is a 5-star Dubrovnik Palace Hotel, while the best resort hotel category 4 * is Hotel Neptun. In the same category, third place went to the Valamar Argosy. The best wellness hotel in Croatia, again, is the hotel in Dubrovnik – the Valamar Dubrovnik President. The best boutique hotel is Dubrovnik Palace, and two awards went to the hotel Villa Dubrovnik, which is the best unique luxury hotel and the best luxury hotel in Croatia. ACI marina Komolac got the third award for the best medium size marina award. Just Dubrovnik congratulates all the winners, individuals and companies!